Take time out to feel the most special feeling in the world – love. With your partner by your side, indulge in an impressive dinner date in refreshing ambience. 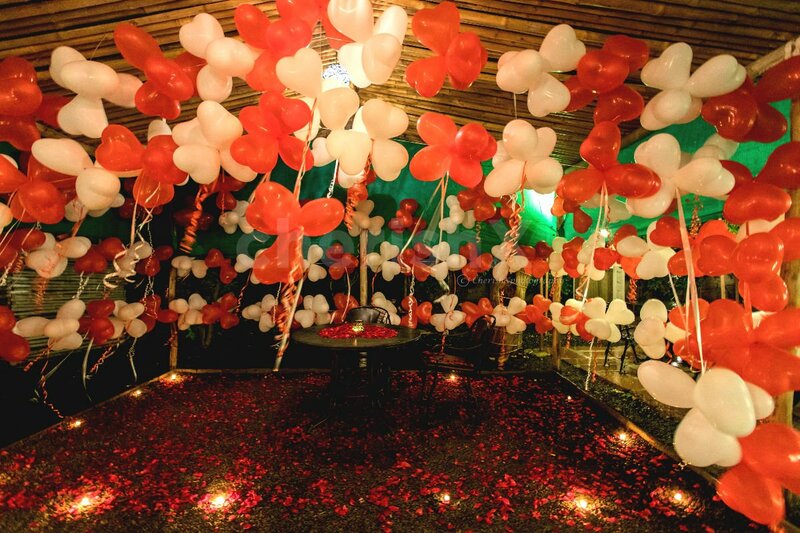 The place will be adored by romantic heart shaped balloons forming a love-filled sky and Rose petals on and the table to witness the meeting of two hearts that are meant to be together forever. The place of dinner for the night is located at very prime place with very beautiful surroundings for you two to have a good time over there. The comforts of the venue place you in tranquil satiation as it has you situated right near the heart of the city with all the iconic & majestic wonders of Indore. 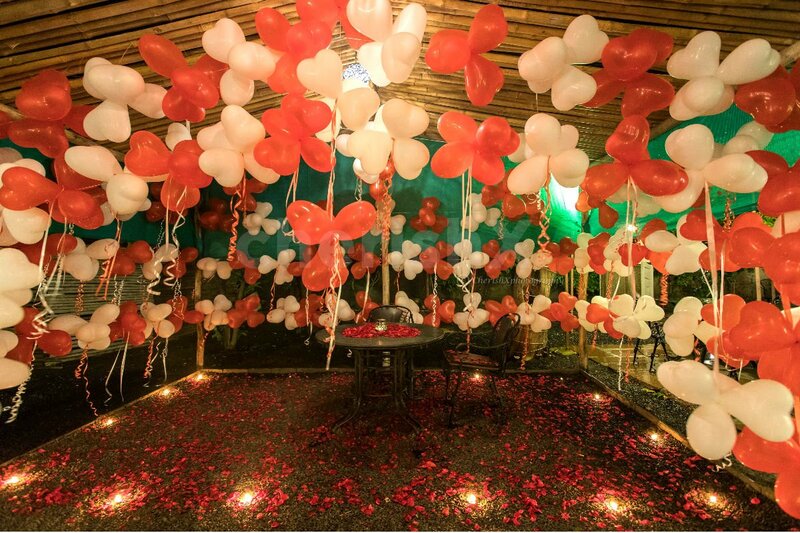 Impress your love by the relaxed vibe of the venue with comfy and spacious seating area. The dining area is well lit and you will instantly feel refreshed after entering here. You will then be served with some refreshing mocktails. Next to come will be your scrumptious 3 course meals with Veg & Non-veg options. The chefs and the staff are very friendly and willing to cater to your tastes. If you are looking for an amazing ambience with perfect flavoured food then this is a place you must plan a visit soon with your partner! You can make your occasions even more special by opting for exclusive customizations like cake, bouquet, guitarist, and luxury pick-up and drop, in just few clicks at CherishX.